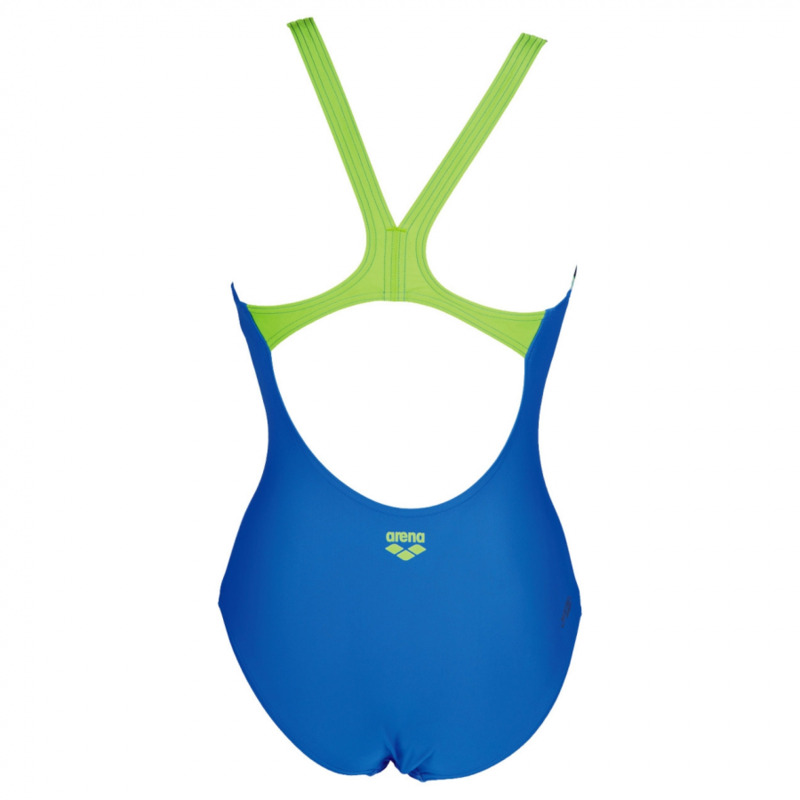 The Arena Domming swimsuit has a beautiful and stylish design on the front. 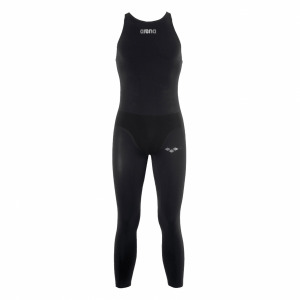 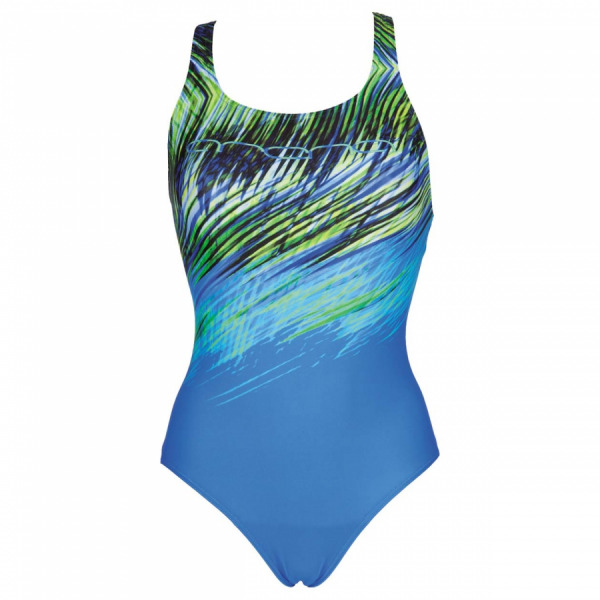 This feminine suit has a ‘Pro’ style back which is both athletic and comfortable and it has contrasting coloured straps. 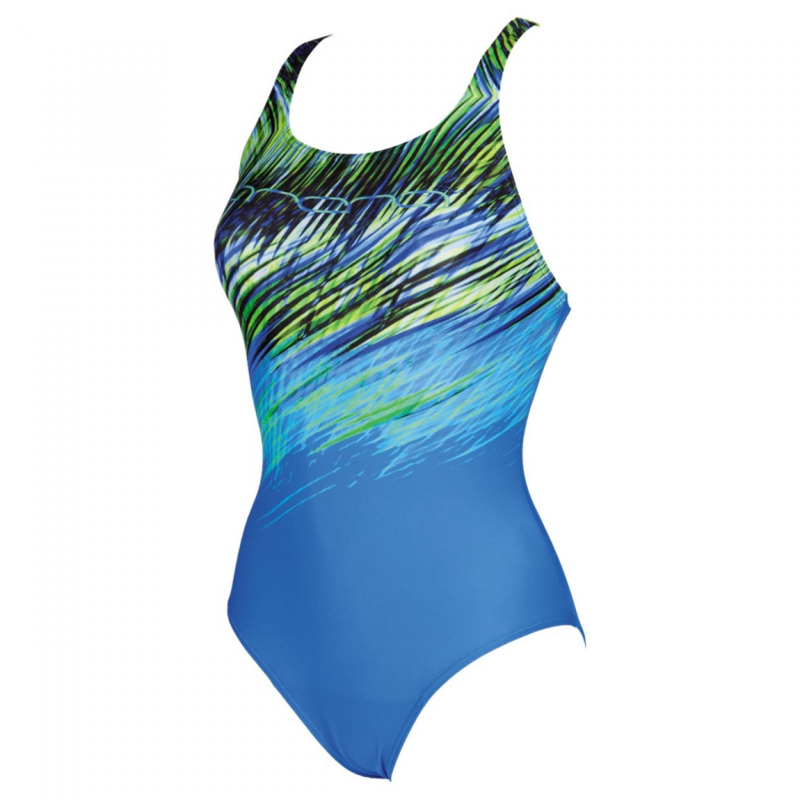 It is perfect for regular swimming or lounging around the pool on holiday! 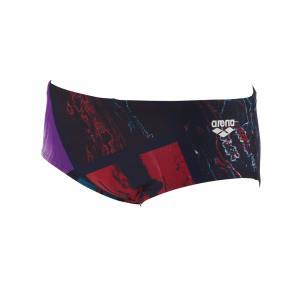 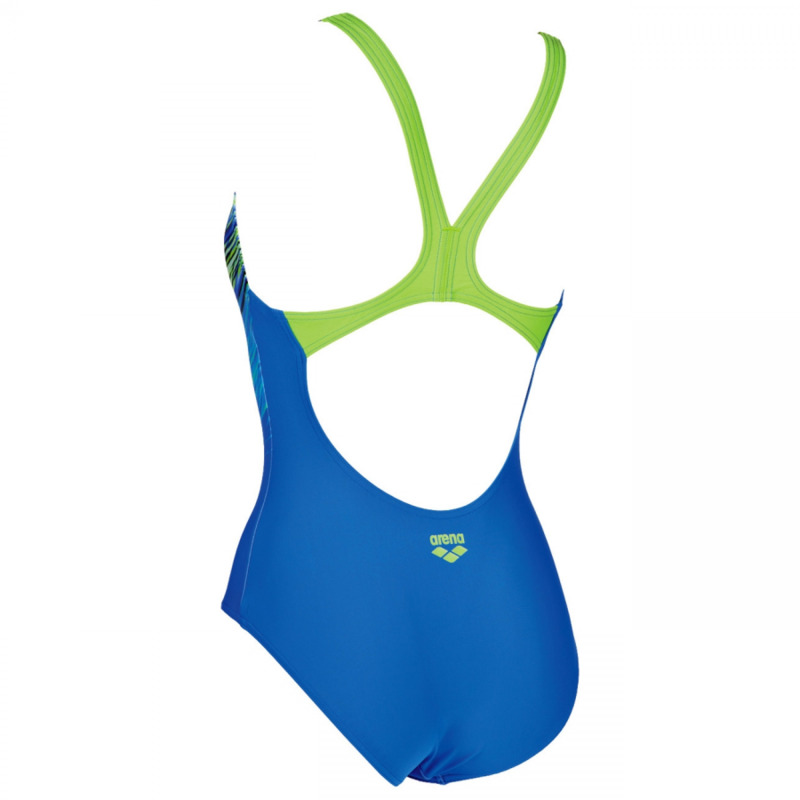 This blue swimming costume uses Arena’s MaxFit material which provides maximum comfort due to its high elasticity and superior softness.